Medicinal vegan chocolate custard tart – it blew our socks off. There is a therapeutic food we are just obsessed with and with good reason. What is it you ask? Why, medicinal mushrooms, that’s what! Now, before you skip to another recipe hear us out! Our resident taste tester and harshest critic loved these tarts and he had no idea there were mushrooms in it. We used SUPERFEAST medicinal mushrooms in this recipe and simply cannot get enough. Medicinal mushrooms have a whole host of health benefits such as nourishing the adrenals, nervous and immune system, to name a few. If you’d like to learn more then click here for a great read on the benefits of medicinal mushrooms. 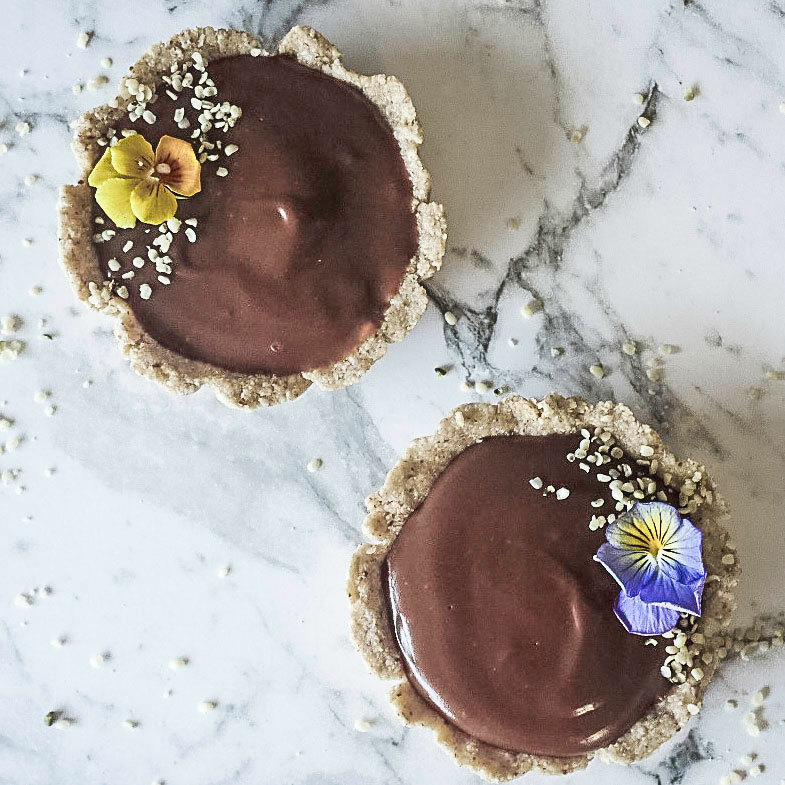 With the addition of Superfeast Jing powder, these medicinal vegan chocolate custard tarts are tonifying for the kidney and adrenals. In Traditional Chinese Medicine the kidneys hold our primordial essence “Jing”. This essence supplies our core energy. You could consider it as laying the foundations of our energy. Jing contains a blend of medicinal mushrooms that may support with exhaustion due to stress or over exertion, improve energy levels, support healthy immune function as well as restore hormonal dysfunction. WOW. These custard tarts are vegan and refined sugar free. There is such a low amount of sweetener in this recipe so these are diabetic friendly and a perfectly healthy treat.